AES Solar provide Solar Thermal and Solar PV systems for either hot water or electricity generation, we provide a range from domestic to commercial scale. As the longest running solar thermal manufacturer in the UK, you can have confidence in us. We have extensive experience in system design, manufacture, installation, commissioning and servicing of solar systems. Based in Moray, Scotland we operate all over the UK and internationally. The customer always comes first, it seems a cliché to say it these days but we mean it. If you contact us with an interest in solar energy the first thing we will do is find out how to best meet your requirements. We will take a few details from you regarding your needs, whether it be for hot water, electricity or both, the size available for panels and the location they would be placed. With this information we will outline the best choices for you based on performance, quality, price and design. 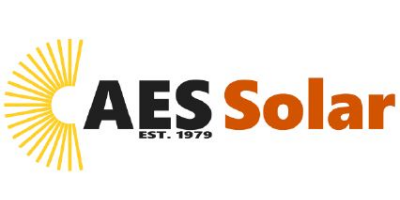 At AES Solar we believe in excellence and are committed to meeting customer expectations of performance, quality, price and delivery in solar thermal and photovoltaic systems. We aim to fully understand our customers’ requirements and provide products and services to meet those needs. We promote innovation and continually review advances in technology which can lead to the improvement of our products.